The ultimate list of Namibia travel tips. Do you need a 4×4? what to consider and how to rent one. Great campsites and camp tips. Car tips from refueling to flat tyres. Best simcard to use for phoning and internet. 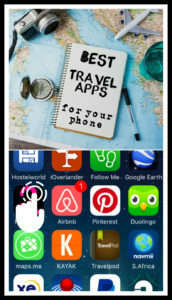 Great maps and phone apps that will help you not to get lost and find a campsite! Use our Packing list to check if you have everything! Do I need a 4×4 to drive through Namibia? You can get to most places with a normal sedan car, 4×4 is not required, but the gravel roads to some sites are not great. This can result in damage to smaller vehicles and a really uncomfortable ride if you don’t drive slow. 4×4 Rental is big business in Namibia and there are many companies to choose from. There are hundreds of tourists driving around in fully kitted 4×4’s with roof top tents. You can rent a 4×4 with camp gear. Normally this means rooftop tent, table, camp chairs, cooler box, gas stove, sleeping bags and everything else you might need for camping. 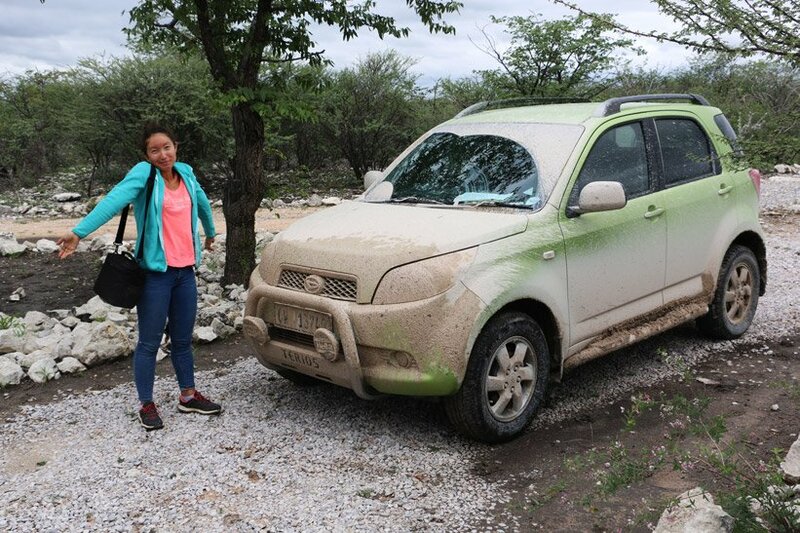 We spoke to many travelers about their cars, NAM$ 700 -800 ($50-60) per day for a single cab with unlimited mileage, camp accessories, pick up and drop off at the same place and minimum insurance in low season is a good deal. 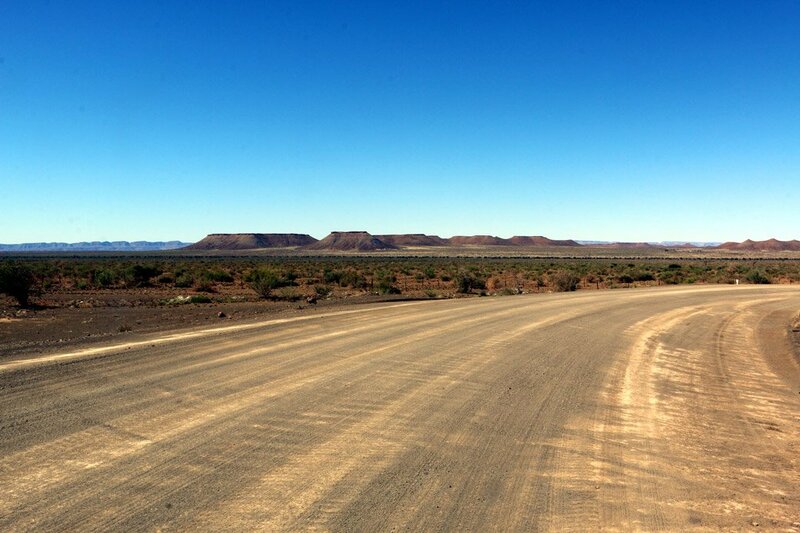 In Namibia you will drive long distances, take unlimited mileage! Petrol consumption will be more or less 8-10 km per litre in a equiped 4×4. 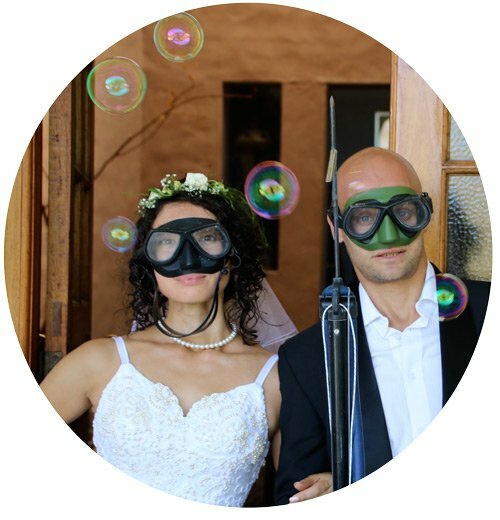 CLICK HERE for the best rental prices we could find. Flat tyres are very common and towns are far apart. If you have a puncture on one of the gravel roads in the middle of nowhere, it might take hours or even days until another vehicle passes by and help. Preparing to be able to handle 2 flat tyres in a day is a good idea. Many people I know had tyre problems, we however drove 12 000km without any problems. If you drive slow and look out for big rocks and pot holes you should be ok.
2 spare tyres, small chance you will need both, but if you do get two flats alone in the middle of nowhere you have a problem. One spare and one repair kit should be more than sufficient. Take a small compressor, they are cheap, if you deflate the tyres for driving in sand you will need to inflate them again. Also necessary when fixing a tyre with the repair kit. Refill your car at every fuel station. If you can drive 400km with your car after refueling you should never run out of petrol. Jerry can – we had a 10L can with extra fuel, we stuck to the above rule and never needed to use our extra fuel. Music for the car is very important! you are going to drive many hours. There is no radio stations in most of the country. I bought a cheap fm modulator ($10) and flash drive. This was great since a CD skips on bad roads. Cost R260 valid for 3 months includes third party insurance. 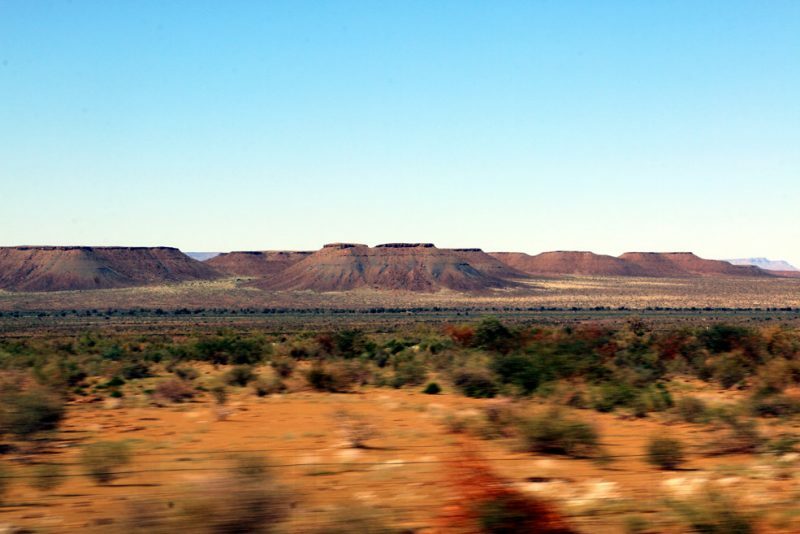 Carnet de Passage: Only compulsory if the vehicle is being shipped to Namibia. This is definitely the way to go in Namibia, it is the only affordable accommodation. 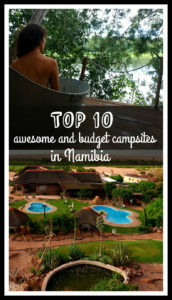 Namibia is all about the nature and what a better way to experience it than camping. 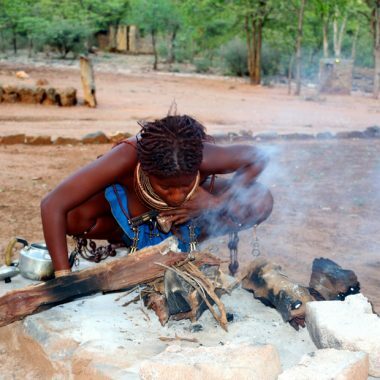 There are many fantastic campsites all over Namibia. Government campsites (NWR) are expensive at about NAM$200 pp ($14) per night. Many of the private lodges also have camping with access to much better facilities than at the government sites for cheaper at $NAM 100-150 ($7-10). Compare the cost with lodges starting at $NAM 1000 ($75) for a double room. It is nice to have a map with campsites on it for planning. We used the ‘Where to Camp’ book and map wheretostay.na it is very useful. Since there is no phone reception everywhere it is best to have a off-line map, mapps.me is a free navigation app that worked well for us. Airtime and data is ridiculously cheap in Namibia compared to South Africa. It is handy to have internet access and to be able to phone campsites, lodges etc. In our experience the best deal was with MTC provider. A simcard cost NAD$7 ($0.5). Buying the Aweh Gig package worked well for us NAD$30 ($2) for 1Gb data, 100 minutes of phone calls and 700SMS (only inside Namibia of course no roaming). Driving around in the desert you are going to get thirsty! Tap water in Namibia is potable in some places but even if so it doesn’t taste nice. Bring a couple of big water bottles 5l you can refill them for quite cheap in some supermarkets. There are camp sites with good quality water, refill all your bottles at these campsites! WIMPY – these all-day breakfast and burger restaurants are all over Namibia, we had many streaky breakfast specials, great bacon and eggs for NAM$29 ($2). Biltong and droe wors– in South Africa and Namibia we live on these dry meat snacks, I promise you, you will get addicted and might have to immigrate! BRAAI foreigners call it a barbeque, there is no set time for cooking to start, it depends on how much wood we have, afterwards ‘caveman TV’ can continue untill the early hours of the morning, staring at the fire and the stars talking nonsense. It all depends on how much booze we have. Buy real wood, not charcoal, you are in Africa now! Speed limit is not a problem on gravel road, there is no traffic police and driving faster than the 100 kmh speed limit is a risk for flat tyres and accidents. On the B main roads, these are tarred, there are many road blocks and some speed traps. Make sure you have license and registration with you. Planning a road trip to Namibia? Here is a complete Africa Safari Packing List by experienced African travelers. Check out our Complete road trip itinerary for Namibia to help you plan your trip! SIGN UP HERE to get email notifications of new posts.